Currently thousands of organizations use ThreatConnect to improve effectiveness, take a proactive approach to security, and better protect their business. 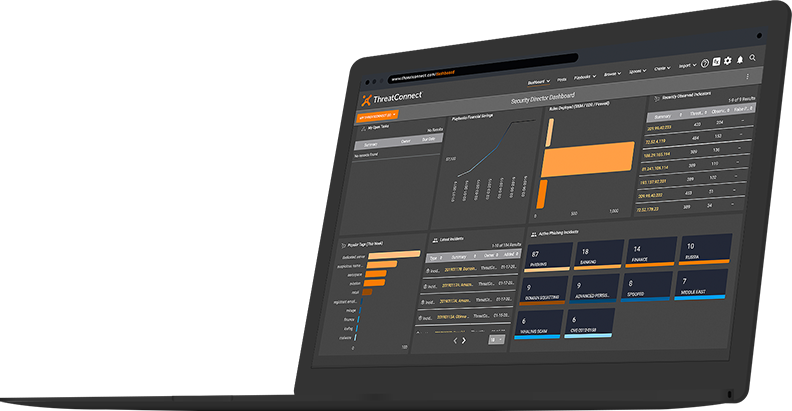 The ThreatConnect Platform, the first and industry-leading security operations and analytics platform, empowers you to find cyber threats, evaluate risk and mitigate harm to an organization. It is specifically designed to empower an intelligence-driven security program and mitigate threats faster using intelligence. At ThreatConnect, customers are processing millions of indicators daily and the number is steadily growing. One of the most challenging roadblocks to threat intelligence is not having a platform that can adapt to the quantity of data and at the same time being able to perform analytical processing. The in-memory platform of SAP HANA combines a database that complies with the standards for atomicity, consistency, isolation, and durability (ACID) with advanced analytical processing, application development and flexible data integrations.